This is what happens when I have too much time on my hands, a mismatched mani due to indecisiveness! 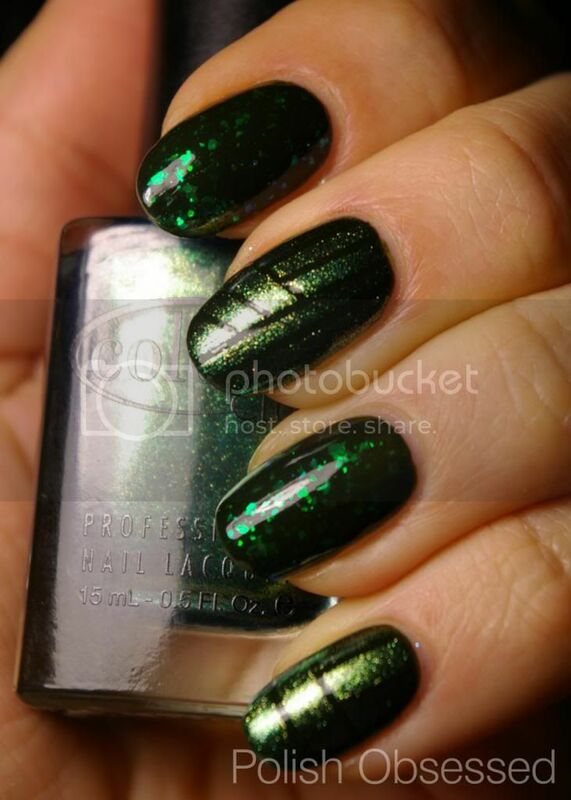 The other day I sat down to do my nails and was torn as to how I would be updating my previous mani of Zoya Envy. I have been seeing bloggers posting swatches of the new Finger Paints Flakies and it got me wanting to layer that on top. 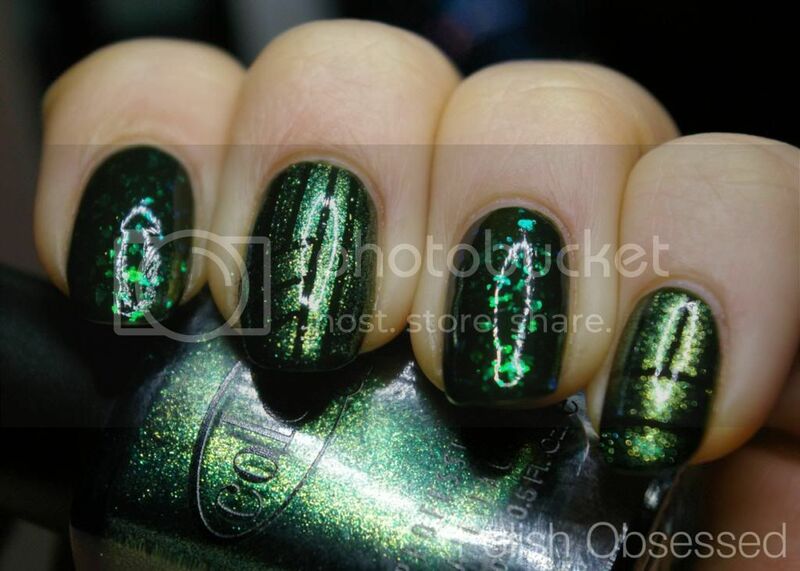 But, I also have been meaning to try out a tape mani since I purchased a bunch of striping tape last summer. 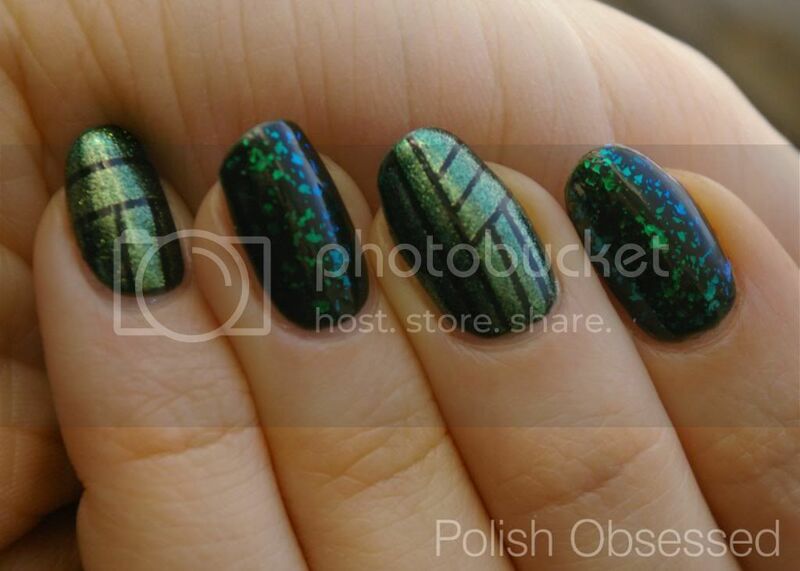 These were the two options I was really stuck between among others of layering other polishes on top or stamping. Too many choices! Soooo... I ended up trying out a tape mani... on a few fingers lol. Three tape designs on my right hand and two on my left to be exact. You have seen these before, basically you stick striping tape on the nail in various designs and patterns and paint over the nail with the tape stuck to the nail, when you remove it you have a cool design! I did a different design for each nail. I think they came out pretty good for my first time! I definitely will be doing this more often, especially with the amount of tape I have. 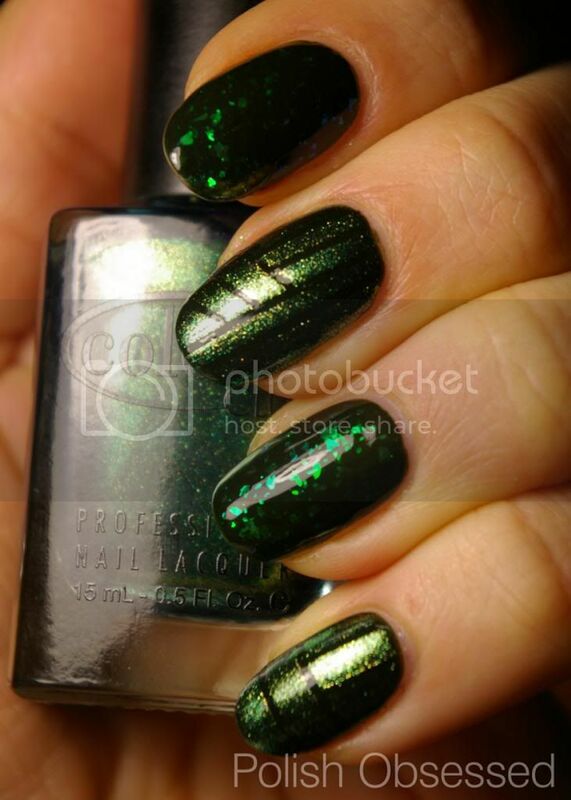 The polish I used on top of Envy for the stripe tape nails is Color Club Ho-Ho-Holly, one of the scented polishes from last years holiday collection. I picked this one up at Sally's on clearance for a dollar or something last year after Christmas. Such a beautiful shade! 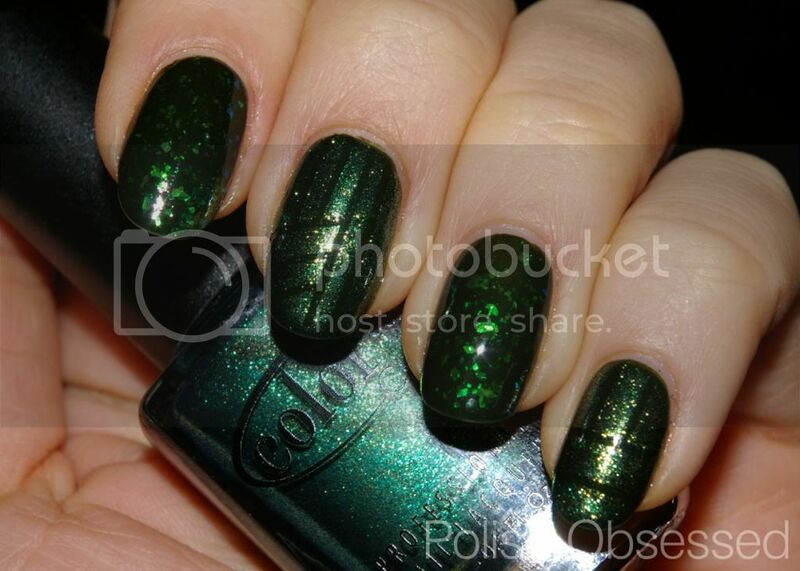 It is a golden green that flashes a slight duochrome of gold and teal/blue from the right angle. It has a slight evergreen scent that is not overbearing at all. I can only really smell it when I have my hands up to my nose. It was so hard to get decent photos of this mismatched mani, it is one of those that looks better in person, too much going on for the camera to capture it correctly. The first grouping of images at the tom were the most accurate to real life.